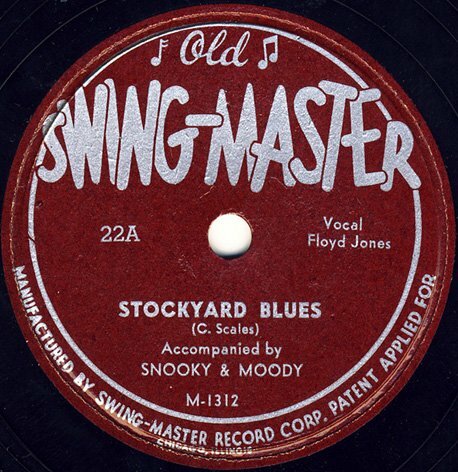 The Old Swing-Master record label was a small Chicago independent label, in operation from 1948 to 1950, that was founded out of necessity. Owner of Chicago's United Broadcasting Studios, Egmont Sonderling, succesfully had kept the masters of the bankrupt Vitacoustic label, that owed him nearly 14,000 dollars, out of the hand of the auctioneers when Vitacoustic's assets had to be sold publicly. The only way to see some of his money back was to release them himself, as the market for "second hand" masters from indies had completely collapsed. And so in a joint venture with local DJ Al Benson he started his own record company, named after Benson's moniker, the Old Swing Master. Once in operation, Sonderling also used it for releasing from masters of other defunct labels that had recorded with him. Today's show gives a nice insight in the world of the many struggling independent labels of the Windy City - and of course some unique, rare and great music. Lot of today's information comes from the web page on the Old Swing-Master label of the Red Saunders Research Foundation - by far the best source of knowledge on Chicago's thriving Rhythm & Blues scene of the forties and fifties.